Alex van ReeVe – born 23rd July 1985 in Konin (Poland). He has had passion for electronic music since 1998 and fallen in love with trance music, especially its uplifting side. He describes his style as explosive mixture of progressive melodies, tech-sounds and uplifting energy. In 2013 Alex decided to go one step further. His first track produced with Mike van Fabio called 'Skyliner' was supported by the master himself, Mr. Armin van Buuren during ASOT638/639/642. 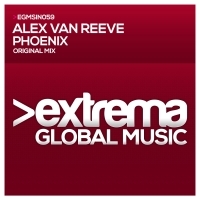 Numerous supports from artists like Photographer, Jorn van Deynhoven, Matt Bukovski, Sean Tyas, Manuel Le Saux, Temple One, James Dymond and many more only proved that Alex van ReeVe is a new face on the trance scene. 'Natalie', a track dedicated for Alex's fiancee Natalia was produced with the master of orchestral music Mr. Geert Huinink, which turned out to be a "Celebration of Love" in the end. The track was played during ASOT665 and the listeners crowned it with the title of "Future Favorite". It's no wonder that Armin van Buuren signed this track on his Who's Afraid Of 138?! label (Armada Music).